It was a great honour for me to be one of the invited speakers at the national eTwinning conference, held in Zagreb, on Friday 26th. Even more so, when among the invited speakers is Bart Verswijvel, who is not only my co-host of the virtual TeachMeets and StudentsMeets, but also one of the best and most confident speakers who I have ever listened to (and I've listened to many, many distinguished speakers worldwide). 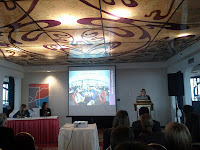 At the conference, four Croatian teachers were awarded for their eTwinning projects carried out in 2011/2012. It was fascinating to hear how they implemented their wonderful ideas and how their students loved such innovative ways of learning. One of them is Tea Horvatic, who has written a wonderful post about the conference and whose excellent etwinning project about mini hotels can be found here. Our faithful teachmeeter, Nataša Ljubić Klemše, was also awarded for her excellent project My first ICT hello. 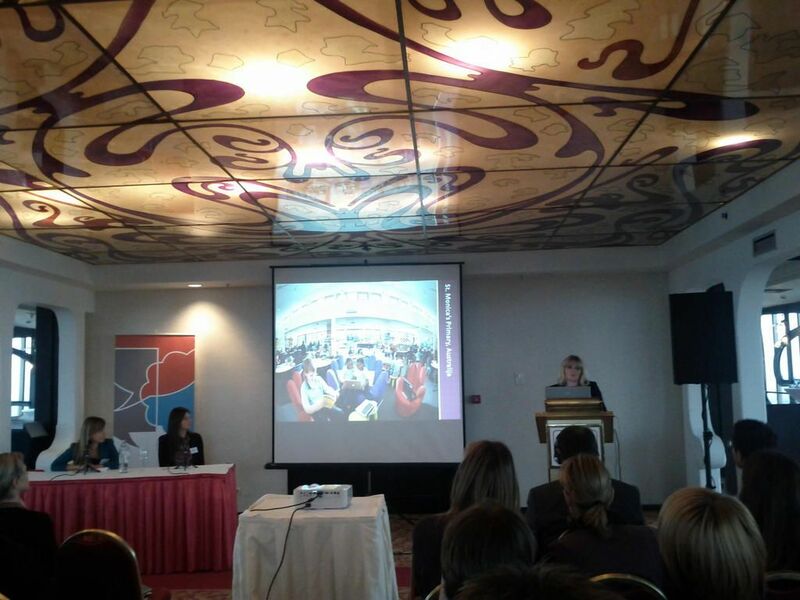 We also had a wonderful opportunity to hear about amazing projects carried out by our colleagues from Slovenia. It was a pleasure to meet the Slovenian etwinning ambassadors Dejan Kramžar, Tatjana Gulič and Irena Rimc Voglar. The Croatian eTwinning ambassador Lidija Kralj and her Comenius project partner Niilo Alhovaara talked about e-safety and etwinning. 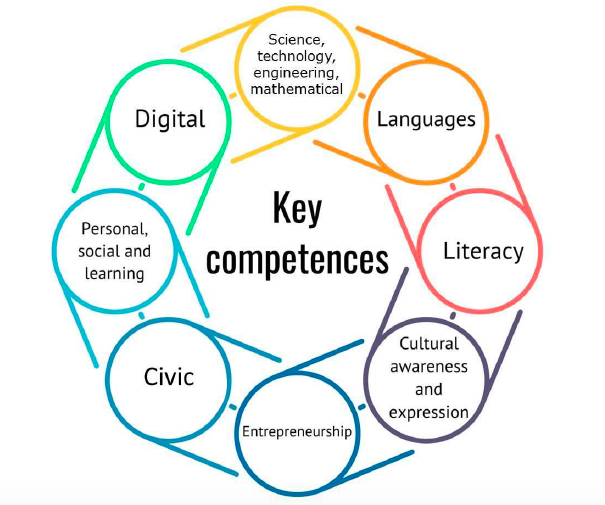 My presentation about the 21st century skills was based on the Microsoft LEAP 21 program, which studies and measures innovative teaching and learning practices. 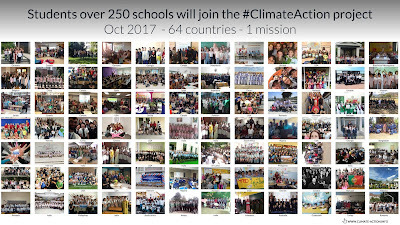 I had a great opportunity to learn about LEAP 21 at the first Microsoft Partners in Learning Institute, held in Seattle in July 2011 and I wanted to share it with the teachers in my country.